Reducing food waste is an emerging consumer issue. Consumers don't like waste, which has led many companies to recycle, reduce packaging and minimize pollution. Food waste has been less explored, especially by retailers. That's in part because consumers assume it is being dealt with responsibly at the corporate level and worry more about their own food waste. Our Sustainability 2017 report finds that only the most knowledgeable connect food waste to industrial practices. 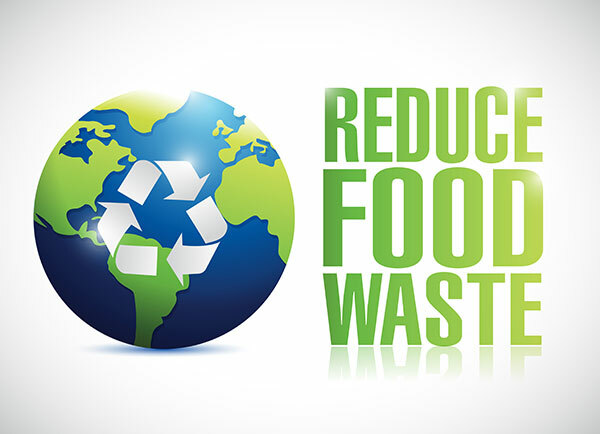 Food waste is a highly salient issue today. Here, our Hartman Retainer Services analysts provide four examples that demonstrate how countries and companies are tackling these challenges from multiple angles, from consumer-driven incentives to government-mandated regulation. Japan’s largest mobile phone carrier Docomo and Tokyo’s metropolitan government have teamed up to launch a new app called EcoBuy. The app awards benefits in the form of reward points to Docomo or Rakuten (Japan’s version of Amazon) after consumers purchase discounted staple items near the end of their shelf life. In the lead-up to the 2020 Tokyo Olympics, food waste has been spotlighted by Japanese officials and city planners as an issue of importance. EcoBuy holds promise as one of an array of solutions, especially since Docomo’s rewards system already has a broad user base of 63 million users. Implications: We’ll be keeping an eye on how this program expands in Japan as a potential model for leveraging tech to combat food waste here in the U.S. The app’s current design, which forces consumers to upload a photo of their shopping receipts for each transaction, would likely be too much of an adoption barrier for U.S. consumers. However, if accrual of points could be more streamlined in the app design, we think U.S. consumer adoption could be quite significant. U.S. retailers might want to pay special attention to how Docomo’s widespread and preexisting user base is leveraged in future post-beta iterations. France takes food waste reduction very seriously, so much so that the country is starting to reap the benefits of a recent law that forces supermarkets to make use of unused food, rather than tossing it away. This has earned the country a top ranking in the 2017 Food Sustainability Index. This comes at a time when here in the U.S., food waste is increasingly seen as an enormous and costly issue. France is far and away ahead of the U.S. and other countries, wasting only 1.8% of its food production, which the FSI attributes to consecutive governments proactively addressing the issue on a policy level. Implications: While it is less likely for the U.S. to enact regulations on retailers as in France, we do have a history of forward-thinking retailers taking proactive steps to communicate their sustainability commitments connected to rising consumer sentiment. This suggests opportunity for a U.S. retailer to implement a food waste program that focuses on a more approachable take on food waste and excess, including better clarification of expiration dates, adjusting portion and pack sizes, and avoiding the destruction of edible food through upcycling. Sustainability at IKEA is a big topic, and as with many large corporate sustainability programs, there are higher-order ambitions that focus on sustainable sourcing, energy, environment, "people and their communities" and (uniquely) "sustainable life at home." Demonstrating the intersection of food and sustainability that we see so often, a new corporate initiative called “Food is Precious” aims to lower food waste. A Giant Food Stores supermarket in Cleona, PA, has achieved a “zero waste” designation from the Environmental Protection Agency. The store — the first among Ahold Delhaize USA sister companies to achieve such a designation — actively engaged store employees and customers as part of a joint effort that fits into broader sustainability initiatives by the retailer and its parent company. Implications: The emphasis on zero waste at Giant is an appropriate fit with consumer interests in concrete sustainability issues. As we report in Hartman’s latest sustainability syndicated research, food waste is a very tangible sustainability issue for consumers, and as such it is one that commands their attention. We think that Giant’s efforts to bring both team members and consumers into the store’s sustainability goals is a smart move that invites additional loyalty and easily explains necessary changes in familiar store layouts and practices.